The white grape comes from Italy, Synonyms are Berlon 'd Ciat and Bertacuciàt. The name means "cat's testicles" after a local dialect and probably refers to the berry or grape form. 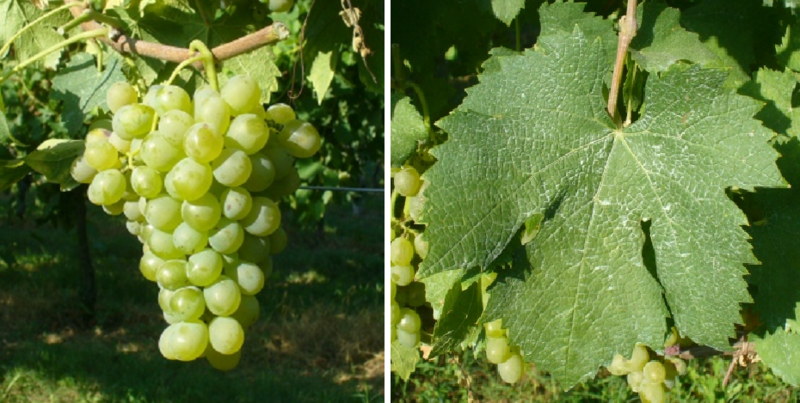 The medium maturing, high yielding vine is resistant to Botrytis, It produces acidic, which Sauvignon Blanc similar white wines with a slightly bitter aftertaste. She is also called table grape used. The almost extinct variety was in Val di Susa in the province of Turin Piedmont rediscovered and reactivated. In 2010, a vineyard with two acres was reported (Statistics Kym Anderson ). This page was last modified at 22 July 2018 at 09:48.